source link Sign up to get our new blog posts delivered right to your inbox! Cats are carriers of an infectious parasite called source url Toxoplasma gondii (T. gondii). They may pass this infection on to humans through their feces. The researchers behind this study wanted to know if contact with cats during childhood raised risk for mental illness. 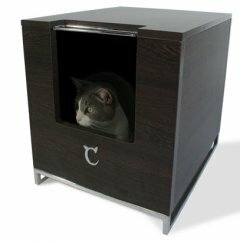 Previous Previous post: Enter our Cattastic CatHaven Cat Contest! Next Next post: Cattastic CatHaven Contest Announcement Congrats, Dr. Cat Tavani, our winner!